Your bedroom is undeniably one of the most important rooms in your abode. It is a place of rest, relaxation, and provides an area for peaceful slumber. Whether your bedroom is simply a room offering the perfunctory use of a bed or is instead a lavish getaway to read, nap, doze or dream, a well-designed bedroom is the key to snoozing in style. When comparing this space to the other rooms in your home, no other area is equal in its level of comfort and ability to provide an area of serenity and tranquillity. As a highly personal space, the bedroom can be personalised to suit varying preferences and aesthetic sensibilities. 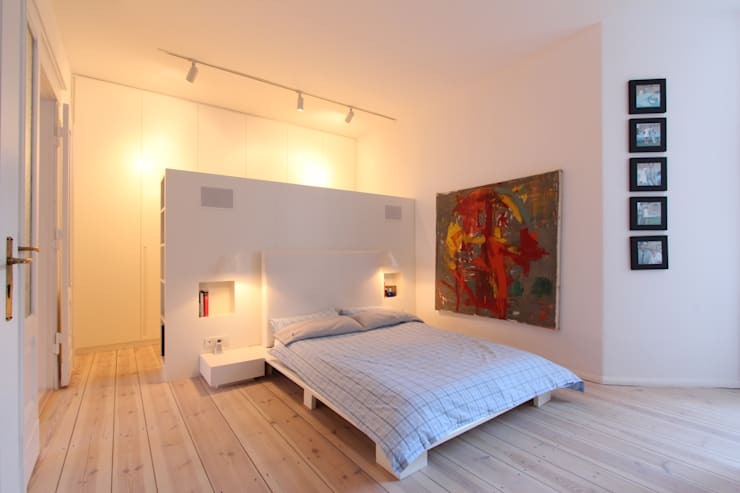 Today on homify we are discussing ways that you can transform your bedroom, and impart a sense of uniqueness within the space. Textiles, photographs, lighting and ornaments are all items that can contribute to the overall vibe and ambience, injecting originality and a personal touch. 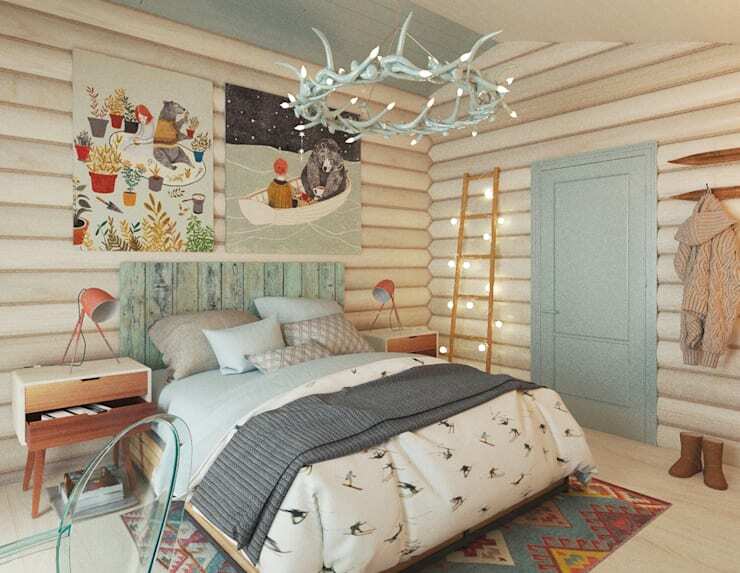 Read on for some handy hints and tips that will ensure your bedroom is anything but boring! The decorations are the key to creating a unique, comfortable, luxurious and personal space. When choosing lavish pieces for your bedroom there are plenty of different stylistic options; if you like to keep things fresh you might want to go seasonal, and change your décor each three months. This doesn't mean you must ditch all of your pieces; instead add colours and items that evoke the feeling of the seasonal ambience and atmosphere. 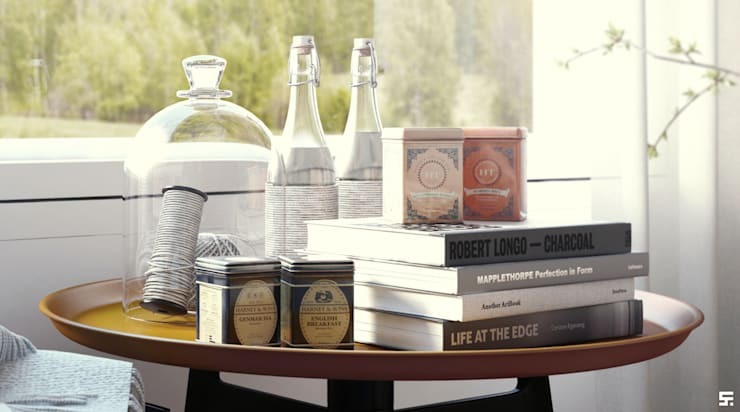 How to: consider books, ornaments, vintage curios, vases, tableware, and any other item that tickles your fancy. The key to personalising your room is to add pieces that you truly find interesting and characterful. Avoid over-decorating and adding too many items, as this will cause your space to feel cluttered and undo all of your good design work. Windows are often a focus within a bedroom as they let the light into the space, as well as provide a view outside of the four walls. To make a statement with your window consider some fancy drapes, curtains, or other window dressings. Interior shutters can look superb, and be painted in a colour that suits the room's scheme and palette. How to: choosing curtains is often one of the most difficult parts of designing a bedroom, or indeed any room in your abode. In order to get the design you are after, and something that looks unique and interesting, chat to a professional for some handy ideas and advice. Textiles designs offer a room a sense of immediate personality and comfort. They range in their pattern, colour, style and material, allowing you to impart individuality upon your bedroom. If you only make one change to your bedroom, make sure it is your bed linen. The focus of a bedroom will almost always be the bed, and for this reason it is a great idea to splurge on fabrics that suit your taste and personality. How to: the example above is a truly individual space where the designer has employed a number of different textiles to create character. Not simply bed linen, there is also a patterned rug that looks ultra-stylish when paired with the other room's decorative elements. Who says your bedroom has to be purely for sleeping? Bedrooms are fabulous spaces that can suit a range of different activities, from meditation to simply relaxing with a good book. 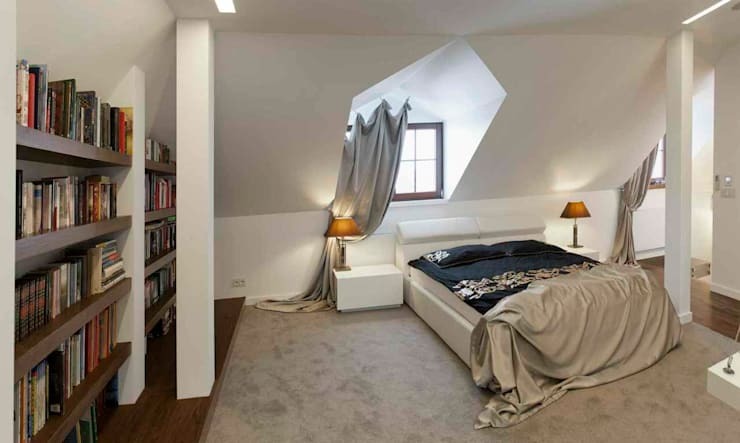 Moreover, a small living area within your bedroom can be a stunning and useful addition to your bedroom. If you are lucky enough to have a large bedroom, consider transforming a small corner into an area to sit back and relax alone, or with friends and guests. How to: take some cues from the stylish example above. 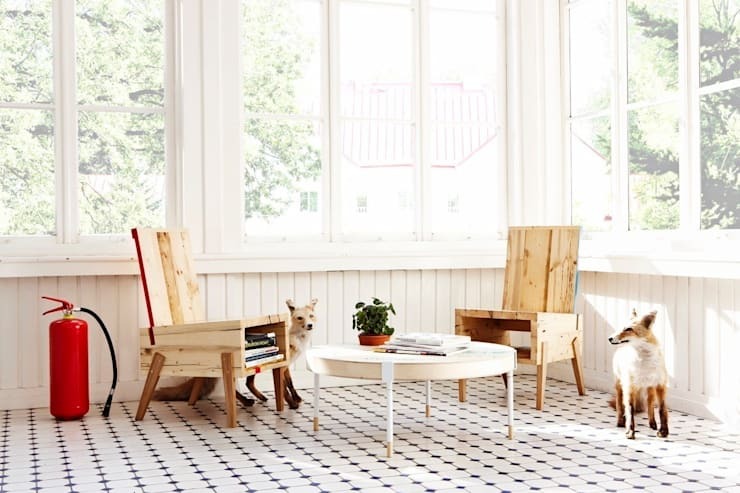 The two chairs are neatly fabricated from reclaimed timber, and work brilliantly with the large circular coffee table. Bright, light, and perfectly positioned, this space is a great set up for those who want to ensure their bedroom is utilised to its full potential. There is nothing more unique and original than an item or decoration that has been created by you. Personalise your space with some gorgeous handmade ornaments, images, or furniture, and you will find your space is instantly revitalised. Photography is a great place to start; choose some images of family, friends, or art photographs that you have taken and have them printed in a large format. 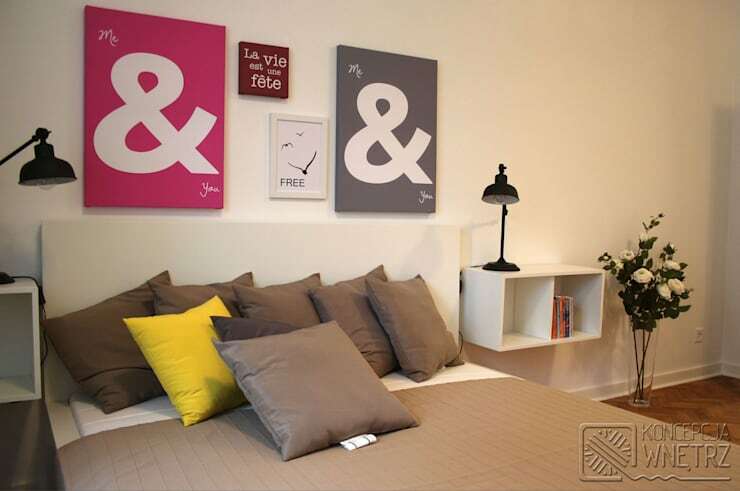 Frame and hang them above your bed, or in another area of the room to create a striking feature. How to: if you are ready for a little DIY action, start planning your project! This might include photographs you have already taken, or art you have already created. 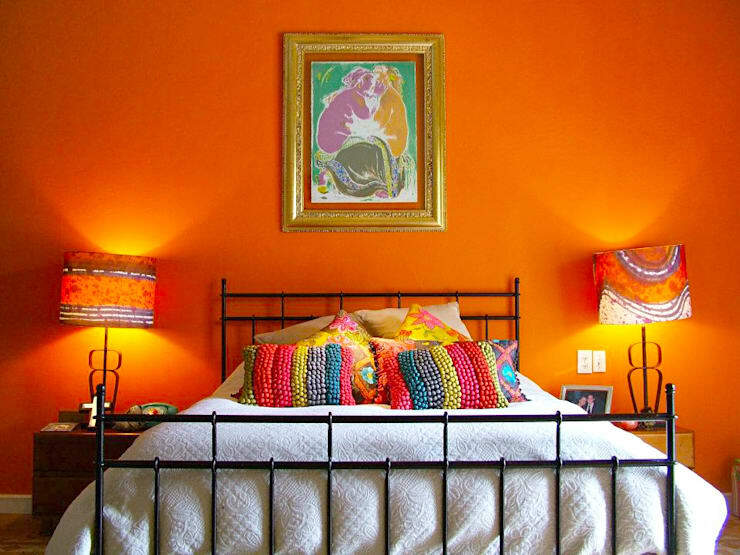 Frame, hang, and install your creations within the bedroom and you will have a unique decorative design that is sure to impress. To be unique and an individual you have to be bold! When choosing a colour scheme for your bedroom, think outside the cookie-cutter bedroom hues and pick something a little out there, a little interesting, and a hue that will evoke the true sense of your individuality. How to: head to your local decorator centre and check out what they have to offer. Alternatively, there are some truly fabulous individual paint suppliers that offer unique hues you won't find in large hardware centres. Peruse some inspirational Ideabooks, search bedroom images, and choose a colour to suit your design. Lighting can have a huge impact on the overall ambience and vibe within a room. In order to create a little sense of personalisation, as well as an individual touch, consider the way you illuminate your bedroom. This example is a fabulous example of a room that utilises interesting and unique lighting. The furniture is incorporated in to the room design, and employs a minimalist aesthetic. Generally the room receives a decent volume of natural light, and it is the strip lighting above that provides the additional illumination. How to: consider different styles of lighting, and avoid the typical bulb-in-ceiling approach. Look outside of the box and invest in lighting that will evoke the ambience you are seeking. Candles, Edison bulbs, and vintage lights are extremely versatile, while indirect lighting will illuminate without ruining the romance within your bedroom. Do you have any other tips or tricks for our readers? If you would like to start a conversation, leave a comment below!